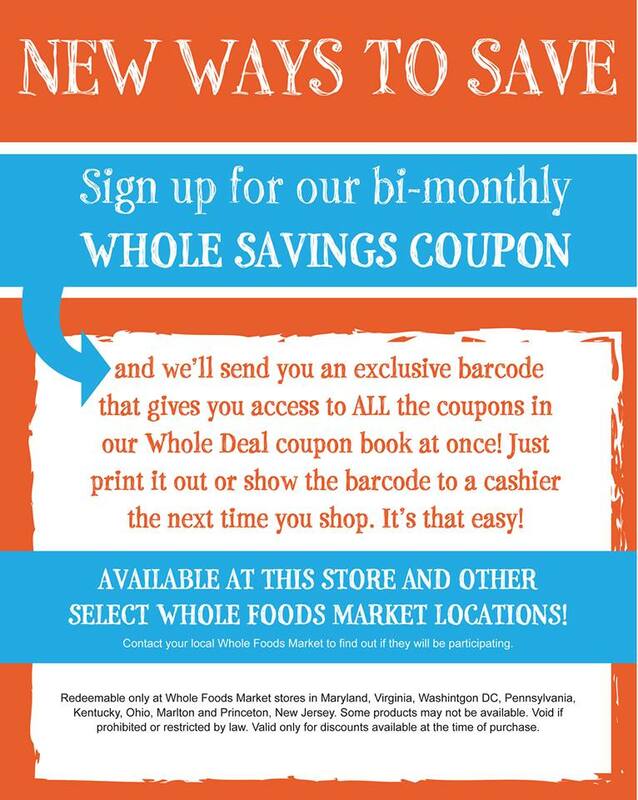 Whole Foods had come up with a new way to help you save! Do you love the savings benefit of coupons but not the clipping part? Sign up to receive our email newsletter, and we’ll send out one coupon/barcode a month that can be printed or shown at the register on a smartphone, and you automatically receive all the coupon deductions from our Whole Deal booklet that you’ve purchased. It’s like getting all the coupons without clipping them out!